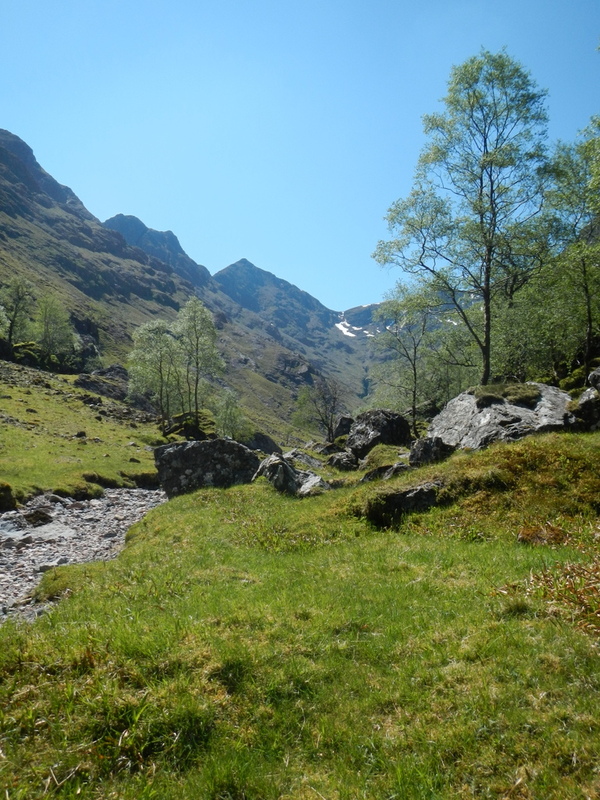 A beautiful valley in Glen Coe. Last Sunday we went for a recovery run around the Three Sisters on the way back from Fort William. Located in Glen Coe. We started at a roadside car park and run up, eventually summitting Bidean nam Bian. We ran back through snow, drinking fresh melt water to keep hydrated in the exceptional sunny weather. We stopped a gentleman to verify where we were. When we asked if he knew where exactly he was, he replied “I know where, I am, I’m in heaven”. Truly, it was a beautiful day out in “God’s Own Country”.